"THE OLD MAN & THE GUN" OPENS CAMERIMAGE 2018! Camerimage Film Festival starts today and David Lowery’s THE OLD MAN & THE GUN will open the festival. Shot by echo’s Joe Anderson, Robert Redford’s final acting role before retirement was at Telluride and in official competition at both Toronto and London Film Festivals this year. WHAT WILL PEOPLE SAY has been submitted as Norway’s representative at the 91st Academy Awards. Deeply moving and stunningly shot by echo’s Nadim Carlsen this movie takes the audience onto an emotional roller coaster. Ali Abbasi’s BORDER, which was also shot by Nadim Carlsen is the Norwegian entry and Ciro Guerra and Cristina Gallego’s BIRDS OF PASSAGE, lensed by David Gallego, ADFC is the Columbian entry. We are also very proud to say that I AM NOT A WITCH has been submitted as this year’s UK entry, also shot by David Gallego, ADFC, with Costume Design by Holly Rebecca and Art Direction by Malin Lindholm. Fingers crossed, go team echo! 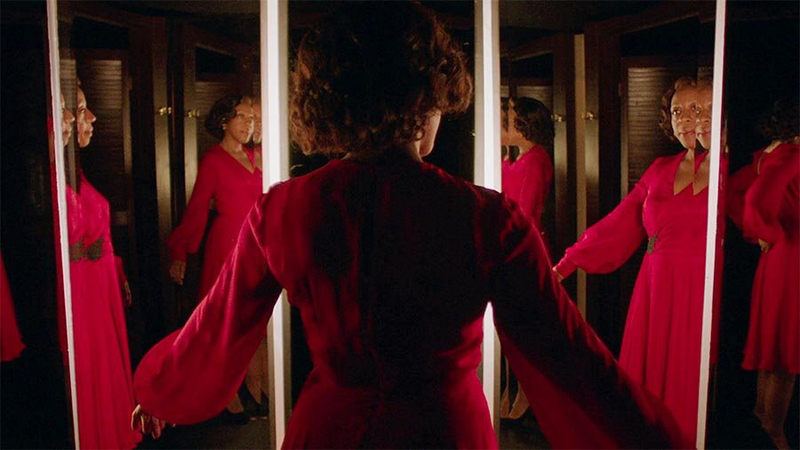 Peter Strickland’s IN FABRIC is showing at TIFF’s Midnight Madness tonight, followed by its European premier at LFF’s Official Competition on 18th October! The film follows a gorgeous deep-red silky dress - courtesy of echo’s Costume Designer Jo Thompson - that proves to be possessed while passing from one owner to the other…fashion can kill! Amazing Hair and Make-Up by echo’s Emma Scott. Having it's world premiere at this year's Gala Presentation at TIFF, Nicole Holofcener's THE LAND OF STEADY HABITS - with Costume Design by Alex Bovaird - follows Anders Hill (Ben Mendelsohn) while he subverts his life to find freedom. His reckless new path leaves him regretting his decisions and questioning who he really is, both as a person and as a father. The film will be then released on Netflix on September 14th. The latest film from 'AINT THEM BODIES SAINTS and A GHOST STORY director, David Lowery is taking the 2018 film festivals by storm! Based on a true story, THE OLD MAN & THE GUN follows Forrest Tucker, an unremorseful career criminal in his quest to live life on his own terms. The star studded cast boasts Robert Redford (in his final role before retiring), Sissy Spacek, Danny Glover and Tom Waits. Lensed by new echo DoP, Joe Anderson, the film premieres at Toronto Film Festival today after having it's world premiere at Telluride Film Festival. If you aren't able to attend either festival, then you can see the film in competition at this year's London Film Festival in October. After huge success at festivals this year already including winning the Un Certain Regard Award at Cannes Film Festival, Ali Abbasi's BORDER will also appear at this year's TIFF, Telluride and the London Film Festival. Shot by the incredibly talented, Variety's "Cinematographer To Watch", echo's Nadim Carlsen, don’t let anyone spoil the plot before going to see it! This is one not to be missed! 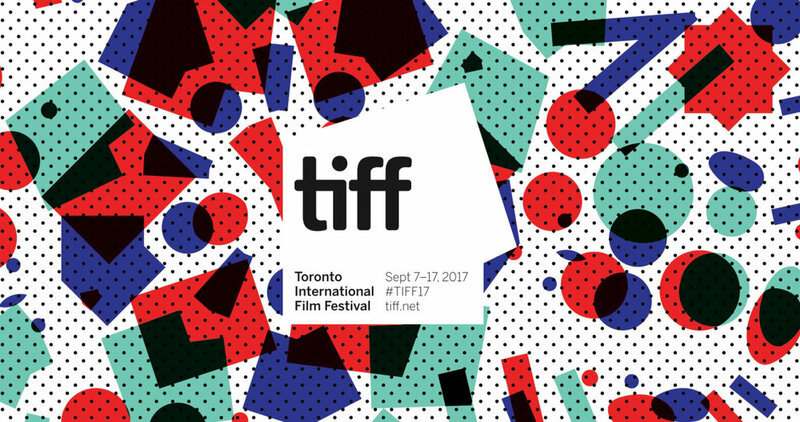 TORONTO INTERNATIONAL FILM FESTIVAL FULL LINE UP ANNOUNCED! TIFF 2018 has been releasing their line up in stages over the last couple of weeks, with the final program announced last night. We are very pleased to congratulate the following echo clients whose projects are at the festival; Gala Presentations include the world premiere of David McKenzie's OUTLAW KING which will open the festival, with Costume Design by Jane Petrie and Hair + Make-Up Design by Kirstin Chalmers; the world premiere of Nicole Holofcener's THE LAND OF STEADY HABITS with Costume Design by Alex Bovaird and A PRIVATE WAR directed by Matthew Heineman with Production Design by Sophie Becher. Lensed by Sean Price Williams, Alex Ross Perry's HER SMELL will also have it's world premiere at the festival and will be shown in the Platform Presentations Program. In the Special Presentation Category we have more world premieres for TEEN SPIRIT, directed by Max Minghella with Production Design by Kave Quinn; and Jake Scott's AMERICAN WOMAN which again features Costume Design by Alex Bovaird. Costume Designer, Jo Thompson and Hair + Make-up Designer, Emma Scott worked on Peter Strickland's IN FABRIC, which is part of the Midnight Madness program. The Contemporary World Cinema category includes BORDER directed by Ali Abassi and shot by Nadim Carlsen; and BIRDS OF PASSAGE directed by Cristina Gallego and Ciro Guerro, lensed by DoP David Gallego, ADFC. Last but not least, GWEN directed by William McGregor and with Production Design by Laura Ellis Cricks will appear in the Discovery section. Congratulations to you all! TlFF takes place between 6th - 16th September. ECHO Congratulates Editor, Napoleon Stratogiannakis for ifeature APOSTASY, directed by Dan Kokotajlo which will have it’s world premiere at this year’s TIFF. Congratulations also go to Director of Photography, David Gallego, ADFC, Costume Designer, Holly Rebecca and Malin Lindholm for her art direction for Nathan Parker for Rungano Nyoni’s feature debut and North American Premiere, I AM NOT A WITCH which is also screening in the Discovery section. Michael Noer’s PAPILLON, with hair and make-up design by Kirstin Chalmers and YOU DISAPPEAR (DU FORSVINDER) directed by Peter Schønau Fog and edited by Morten Højbjerg will also screen at the festival in the Special Presentation category.